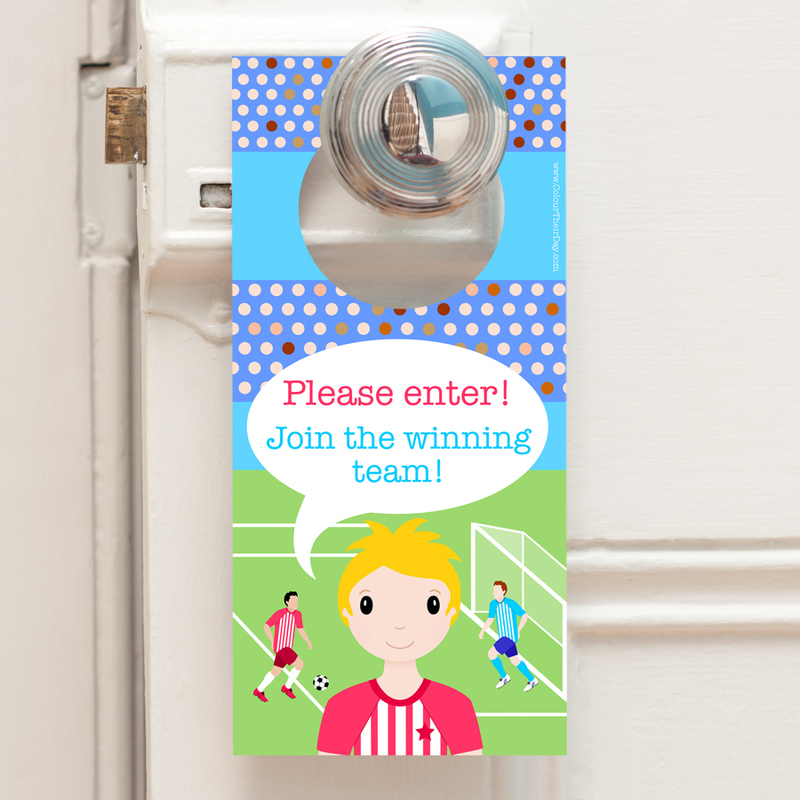 This footballer door hanger is brilliant for a boy who is a little bit football crazy! It’s fun, quirky and vibrant colours make it a perfect gift, that will brighten up his bedroom decor. The door hanger is double sided so is very thick and robust. The design features a sporty footballer, with the text ‘Keep out! You’re offside!’ on one side and ‘Please enter! Join the winning team!’ on the reverse side. Boys can display the relevant side, depending if they want company or not! 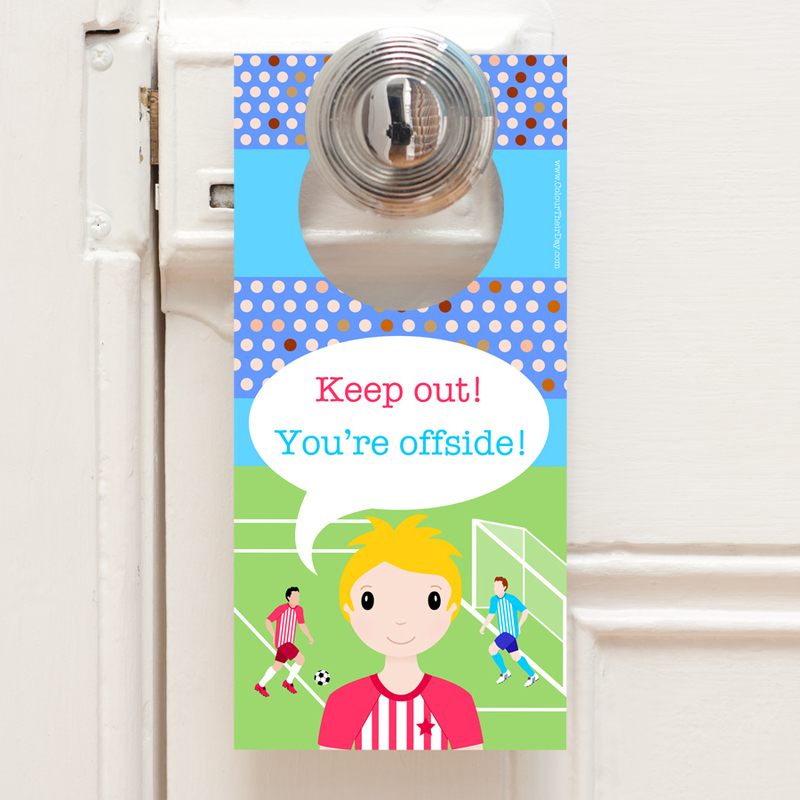 Be the first to review “Footballer – Double Sided Door Hanger” Click here to cancel reply.